Wallace State Community College, in conjunction with The Evelyn Burrow Museum's current exhibition "Fifteen Minutes: Homage to Andy Warhol," will host a Community Art Exhibition and is seeking entries. "What's Pop?" will feature artwork by area artists and will be on display from October 16 through November 3, 2017. 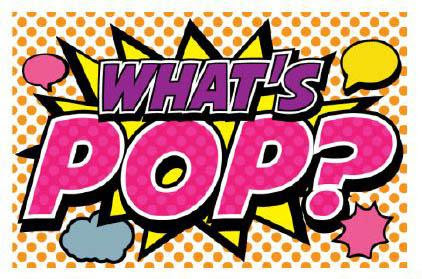 Artwork based on themes of today's popular and consumer culture is sought for the "What's Pop?" exhibit. Participants are encouraged to create pop art style portrait images of famous personalities from film, television, social media or anime, and even memes are also encouraged. Any imagery and subject matter which participants feel creatively communicates this theme is welcome, as is artwork which does not relate to the theme. Click the link below to download an entry form and see entry categories and guidelines.